Hello, my name is Mel Wraight. I have been a counsellor for over 20 years in university and private practice settings. Over that time I have studied, trained and learned from working with several thousand people towards an understanding of what really helps us live life more wisely and happily. Before becoming a counsellor I worked in film, social policy research and the building industry. I started my counselling career with a psychodynamic counselling training which focuses on development of the self, personality and the expression of our past experiences in our present lives, especially our relationships. I have since added to that the understanding and skills of cognitive behavioural therapy (often called CBT) which offers tools for remodelling our thoughts and behaviour. 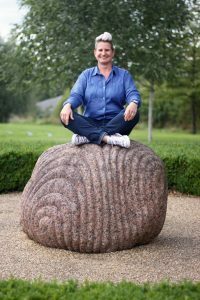 In 2011 I began my training in Mindfulness which I now use in my practice to draw together all my previous experience and understanding. This allows an insight into the nature of the mind and a way of accepting and being kind towards our imperfect, human selves. Mindfulness has become a powerful balancing practice in my life. Regular meditation helps me to live well with all that life presents; joy and pain alike. I get very excited about sharing these skills with others. I am also experienced in writing and delivering psycho-educational workshops for varied audiences on a variety of subjects including stress management, depression, self-esteem, perfectionism and procrastination. I work one to one and with groups as a counsellor and mindfulness teacher and trainer. I like to cook, travel, bake bread, ride my bike and make useful, beautiful objects. I love to fix stuff, improvise, eat, talk to family and friends, and fuss the cat and dog. I support all of this with meditation and a growing interest in yoga practice. There are a lot of therapists to choose from, why pick you? receive supervision for my teaching. I have spent considerable time establishing my own practice of regular meditation and retreats before teaching in order to fully embody mindfulness as a teacher. I think you’ll find me a skilful professional, compassionate, friendly, knowledgeable and with a sense of humour. Why do you teach mindfulness? Within the context of counselling, mindfulness provides tools and strategies which empower people to act with insight and wisdom towards managing their lives differently. People often feel that it is all well and good to understand the source of their problems or the frustrating cycle of thoughts and feelings but they frequently ask me “what can I do to change this?” This is where the practice of mindfulness helps open up the space between experiences and reactions to make room for wise response and self-management. Paradoxically in teaching you how to be with yourself mindfulness shows you what to do for yourself. Personal experience has shown me it is a deeply harmonizing and balancing practice and I feel thrilled to share it with others and see their experience unfold. On its own mindfulness provides a practical, daily activity to nourish and explore the self and one’s relationship to the inner and outer world. Mindfulness groups can be a wonderfully supportive environment to accept what is to be human and to find connection.